My husband found Diet Coke Lemon the other day. We tried Coca-Cola Lemon in 2014, and this is diet version is only available at Seven Eleven from May 31, 2016. 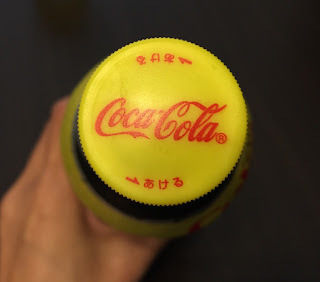 The bottle is silver and lemon yellow, and it looked more sophisticated and stylish than Coca-Cola Lemon. It had crisp lemon flavor and tasted similar to the old Pepsi that had aspartame. Diet Coke Lemon was as light and refreshing as Diet Coke Lime, which is common in the states. Ingredients had aspartame and no wonder it tasted similar to old Pepsi.